It’s been a blast so far and I can’t wait for the first actual build, just gotta get the electronics! I think in that photo I was printing one of the X carriage parts. I was printing in ABS and had to use a brim to even hope of getting bed adhesion. 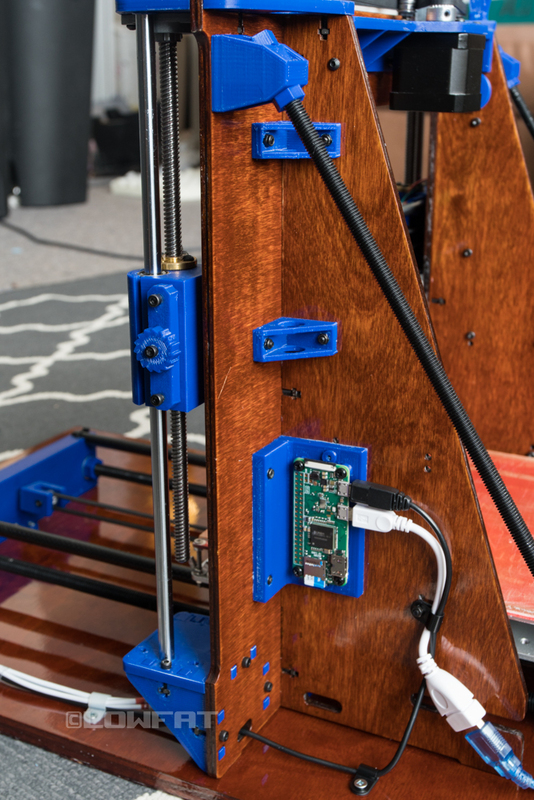 I made some strategic upgrades vs Tom’s design by going for an aluminum frame and a genuine E3D hot end. This is my Dolly but to be honest it is becoming an actual MK2S. I now have an original Prusa frame, I bought a Rambo Mini board and I am waiting for a MK42 clone to install. Hictop 3dp-17, Ikea LACK enclosure. 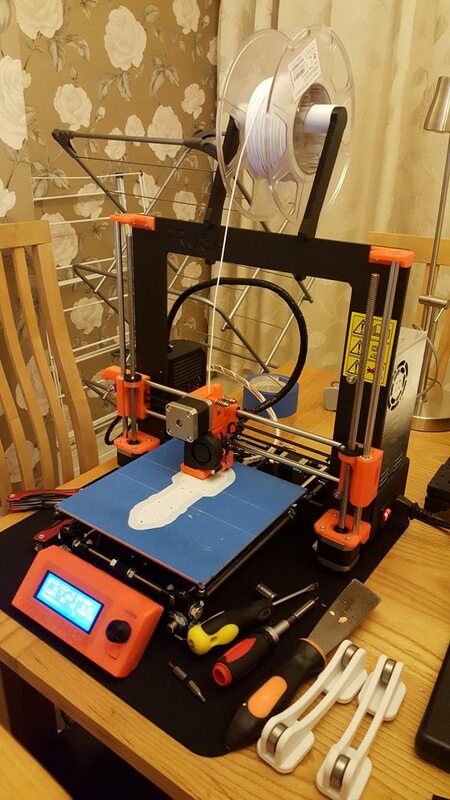 This is my first 3d printer, I had big plans but for now I am happy that it will print fidget spinners. Bought this off of Amazon hoping I would get lucky and get something that worked ok, I was very wrong. I started with a Reprap Neo, shortly followed by a Trunigy Fabrikator (discount decision) and I am now pretty satisfied with my custom printer. My 101hero which I have had for a few months and is still working. Not the best printer in the world but it does print. 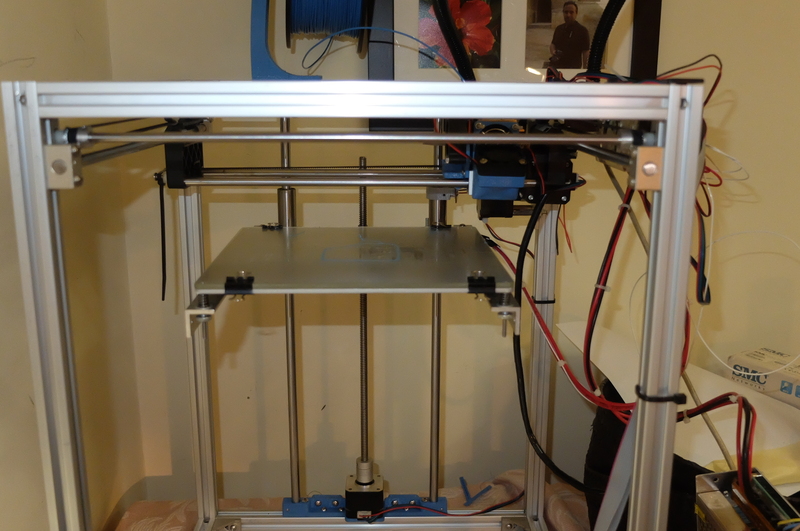 And my Anet A8 which I picked up in the last 2 weeks. 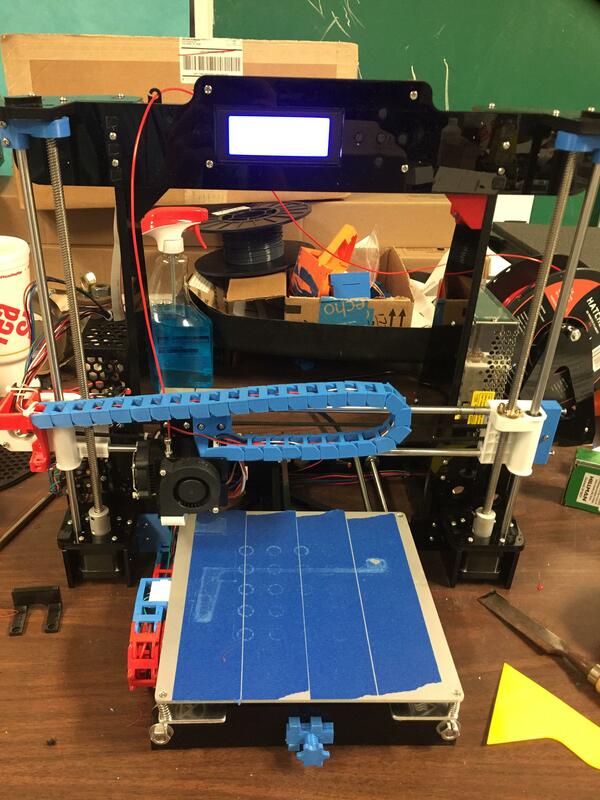 It was printing fine until an issue with the y-axis switch port on the main board put it out of commission. Currently waiting on a new board :? 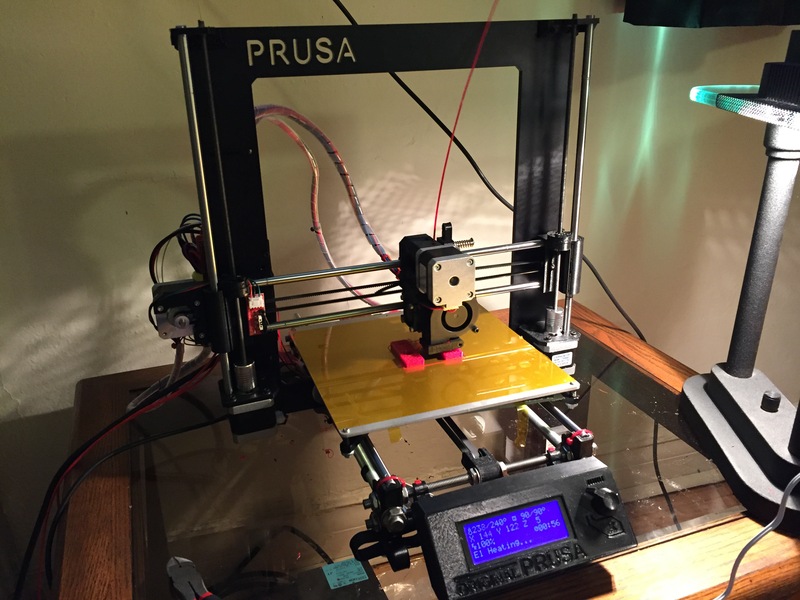 My first printer plus my first KickStarter by Billy Zelsnack. The PrintXel was replaced by a ZeGo bot Mini delta. Just need to hook it up to a RPi3 so I don’t have to move my laptop between rooms when I want to print. Maybe even upgrade to a SmoothyWare board. 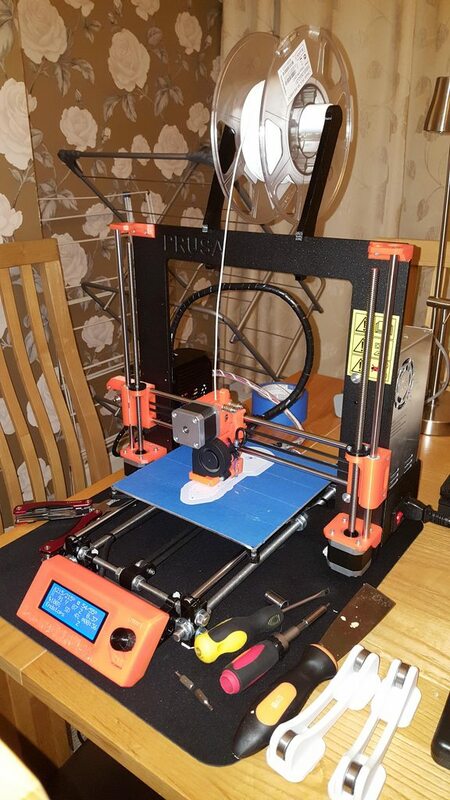 My first printer, built in early 2013, is this Prusa I2. It has been my go- to work horse as it keeps churning out the prints. 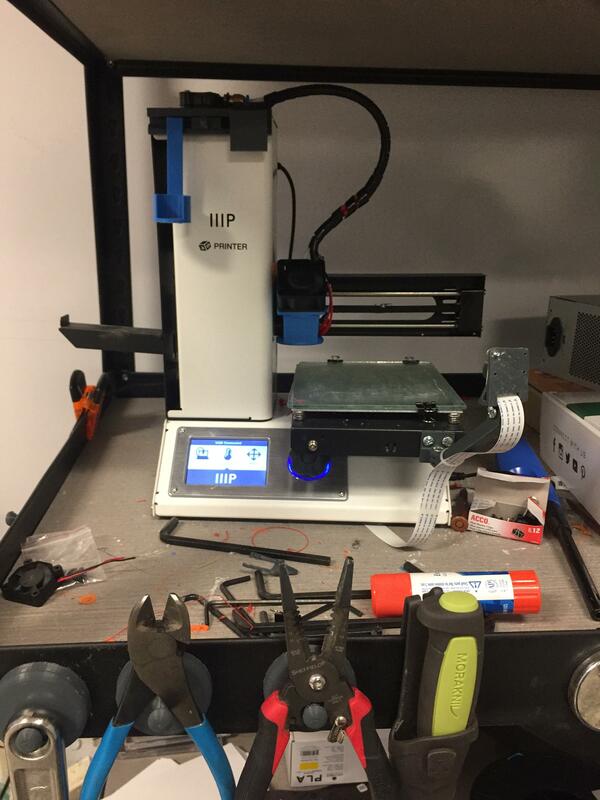 It was built from scratch using printed parts from NW Reprap and hardware from McMaster-Carr. It uses a homemade Gen7 controller with Teacup firmware. The controller parts were purchased from Digi-Key Electronics. The whole tally including the 30amp power supply was around $ 725.00 which at the time was cheap for a 3D printer. 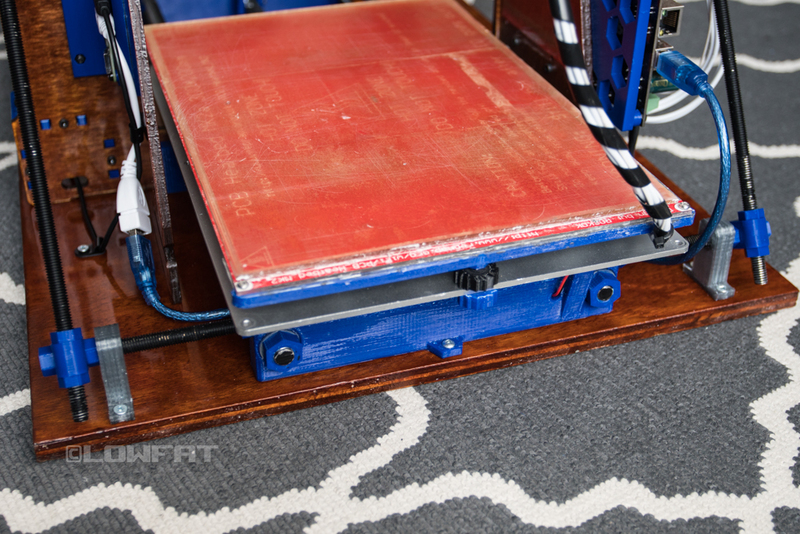 It currently uses a aluminum heat bed heated with a 180watt silicone pad heater. The heatup time from room temp to 220 is 6-7 minutes. 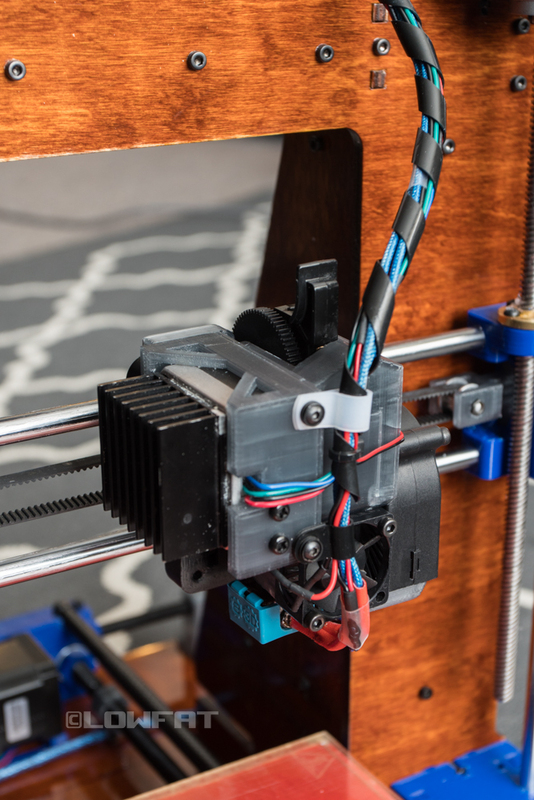 The hot end is a J-Head Mk V from hotends.com for 3.00mm filament. I use Pronterface loaded on the Raspberry PI to run the prints from a USB stick. I take great pride in keeping my electronics and wiring nice and tidy. I built this one a year later. 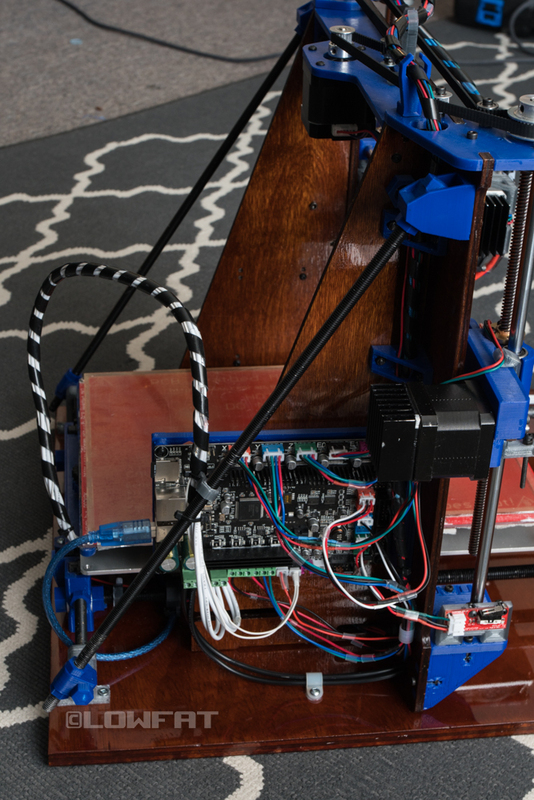 It uses a Ramps 1.4 controller w/ Marlin, E3D Chimera , aluminum bed w/220 Watt silicone pad heater and a RepRapDiscount.com Full Graphic Smart Controller. Most prints are from the SD Card. It is powered by a Meanwell 50amp 12vdc power supply. 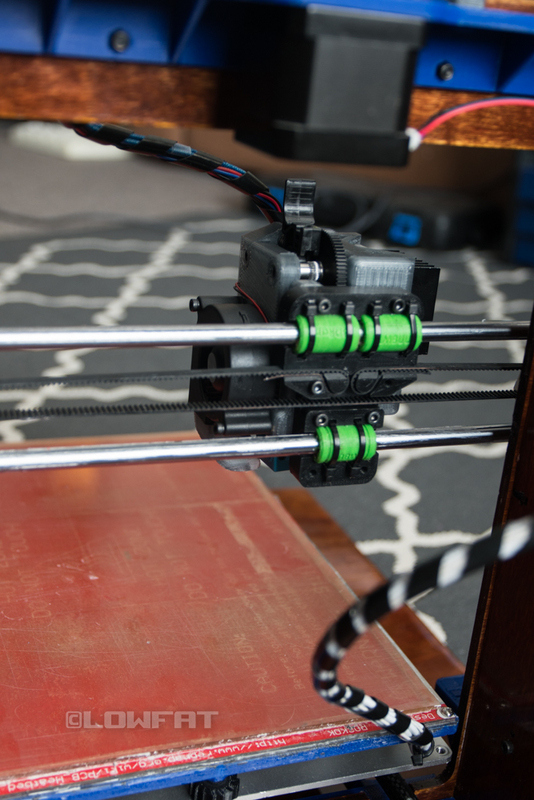 The inverted Gregs Wade extruders are perfectly suited for the dual 1.75mm bowden setup. 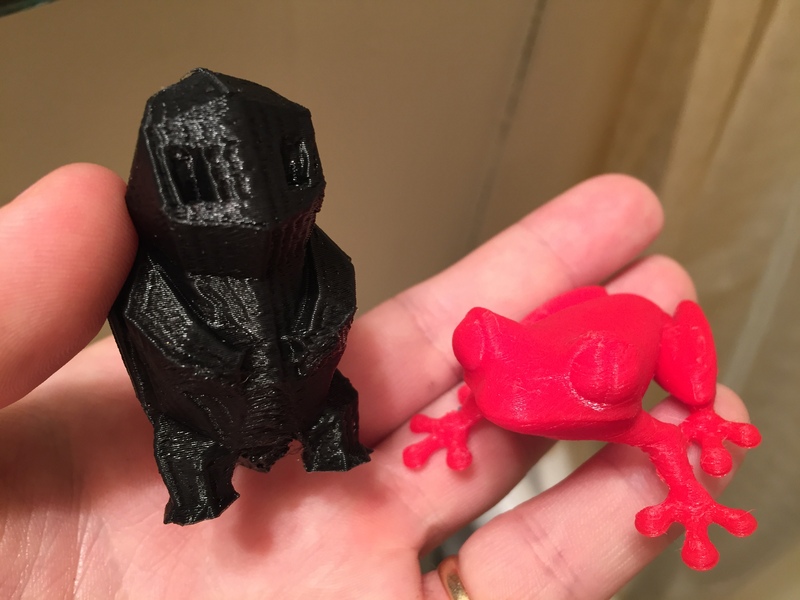 It is such a reliable printer that I don’t think twice before starting 24+ hour prints. And, as you can see, my compulsion for wire organization extend to this new printer. Nothing much to say about this thing but that it squirts plastic and can print for hours and hours. My only functioning printer. E3D V6 w/ amplified PT100. 300x200mm bed. MKS SBase 1.3. 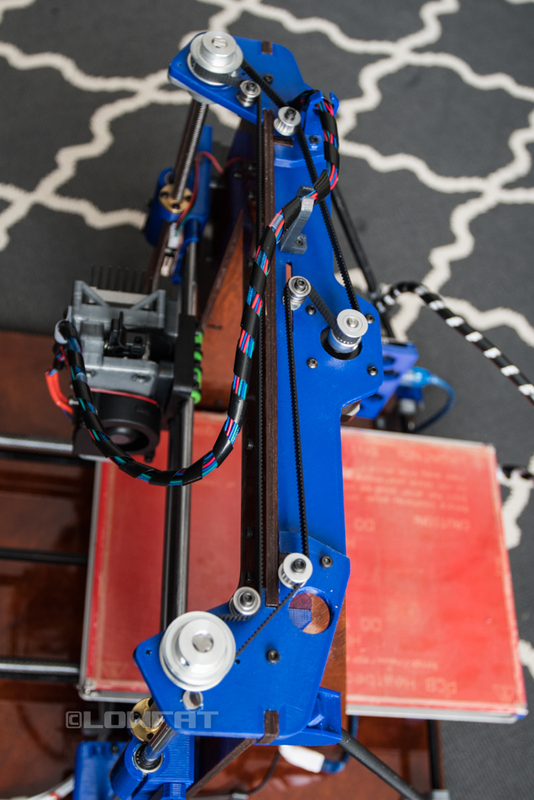 DIY Titan extruder. 0.9 degree X and Y steppers. Enclosure is a temperature controlled and auto on/off heated enclosure. Although even w/ polycarbonate I never found I needed to turn the heaters on. So I’ve removed all the wiring that connected to the printer. 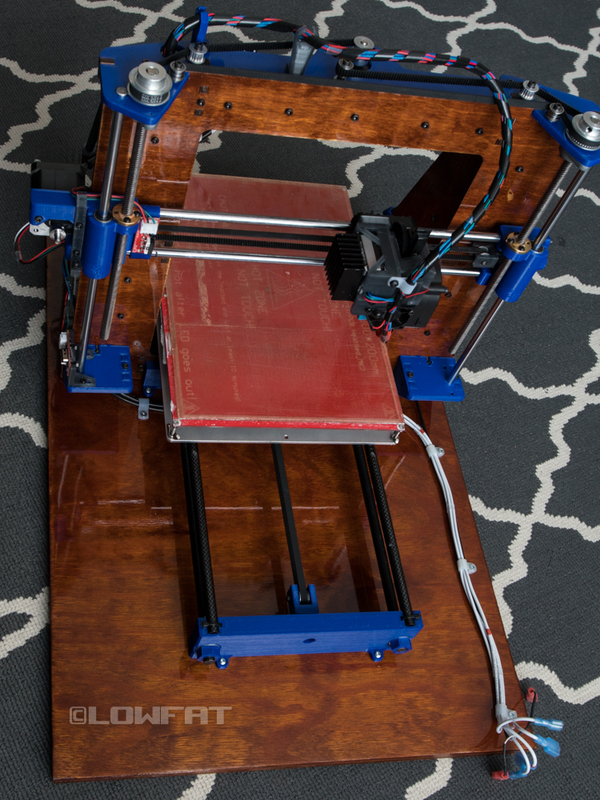 I’m currently building a reinforced frame for this printer and will be converting it to a single Z motor. Also have a Wilson 2 95% finished (also single Z motor). Just waiting for the closed loop belts to arrive (been 2 months already). E3D V6 + 0.6mm nozzle. Nidec hotend fan and Sunon MagLev part cooling fan. Single Z-motor w/ 1:2 gearing. That’s awesome! Could you share some info about those sliders? This is my prusa frankeinstein, each piece from different supplier and I did plenty of improvements during the four years I am working on it. 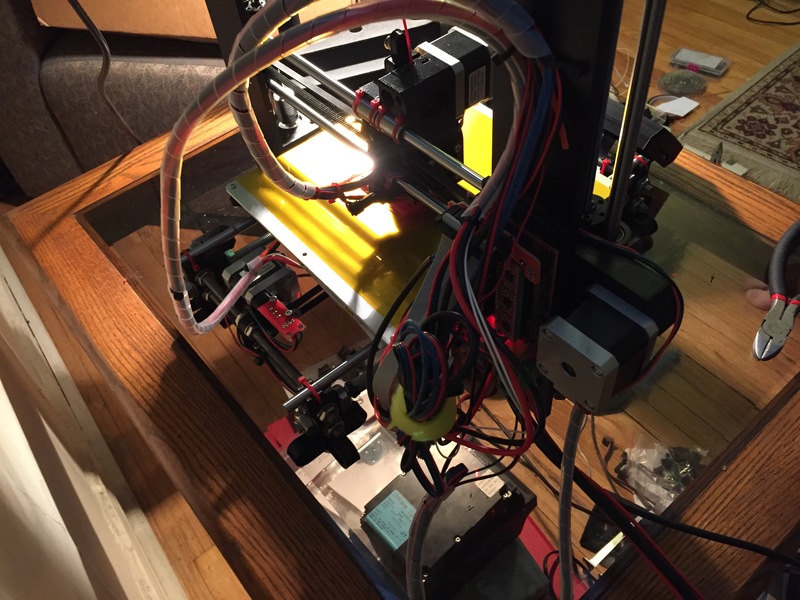 Now it runs a E3d v6 hot end with a titan extruder and an Ir Z probe. The next improvement is a multimaterial hotend, it’s a mix between a Chinese hotend and original E3d chimera pieces. The approach will be the same of the make multimaterial solution but not a more compact shape… We will see if it will work. I have a self build P3Steel XL running on a DuetWifi with a titan extruder, e3D hot endand a BLTouch like probe for bed levelling. It sits in an insulated heat chamber that’ll reach 50c from only the Heated bed at 115c. 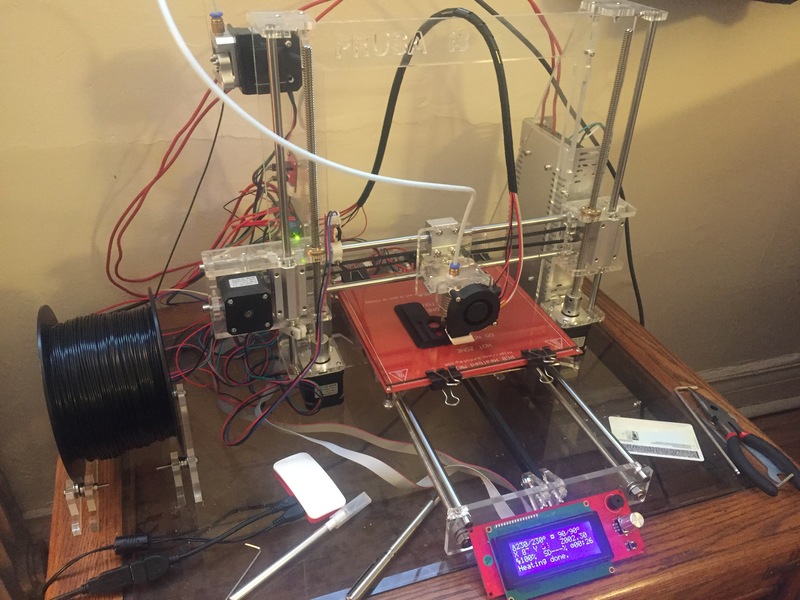 This Christmas I plan on converting this Makerbot 5th Gen replicator into a useful CoreXY machine replacing the electronics with a DuetWifi and new hot end/extruder. I’m also inheriting an Ormerod soon. The day my LulzBot Mini was delivered! 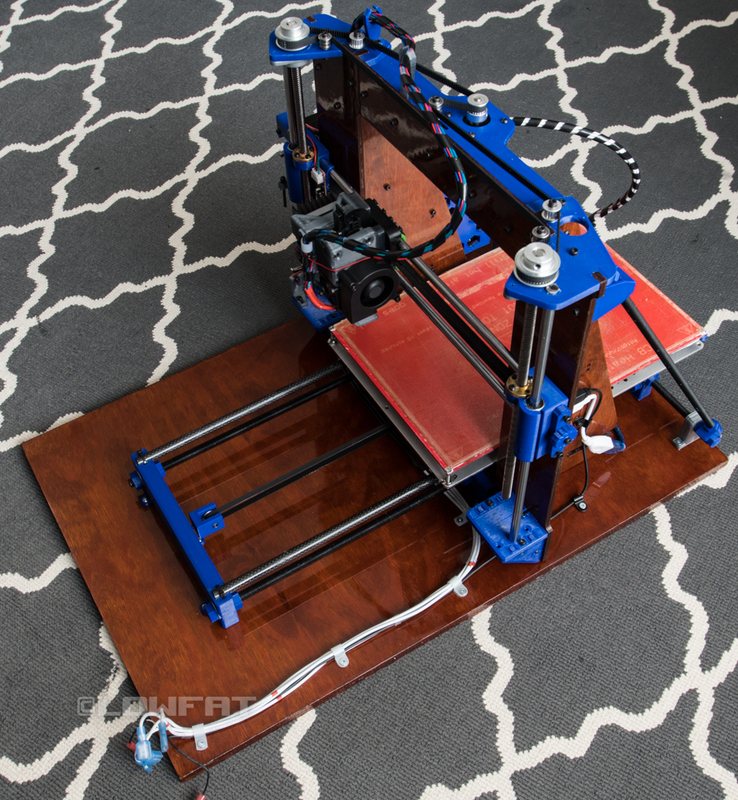 Have since invested in an acrylic case and a Flexystruder to print with flexible filament. Have also added a Raspberry Pi to use Octoprint and LED lighting to make it much easier to see the print bed and to allow for a future remote camera upgrade. My printer is an Alunar M505. Same as ANET A8. Most peoples would say that all the upgrades Ive made doesn’t worth it and that I should just have bought a CR-10. But I very like my printer and I’ve learn so much in the process of pimping it. It’s linked with Octoprint via a raspberry pi 3.